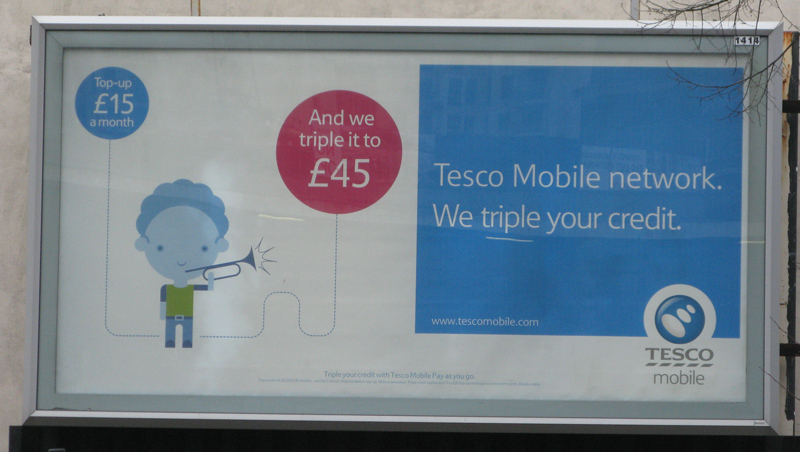 LONDON - A TV, radio and poster ad promoting Tesco mobile's "Free Credit Tariff", have been banned by the Advertising Standards Authority. Four people felt the ads were misleading as they did not clarify that existing customers would have to change tariff in order to be eligible for the offer. Tesco said the offer applied to a pay-as-you-go tariff, which gave customers free credit when they topped up and was available to both new and existing customers. It confirmed that existing customers would need to change from their current tariff in order to benefit from the triple credit. It did not believe customers would be misled by omitting this information from the advertising. The ASA noted the ads addressed both new and existing Tesco mobile customers; however it did not feel the ads made clear that the offer was for a new tariff and that existing customers would have to switch. It concluded the ads were misleading and must not be shown again in their current form.